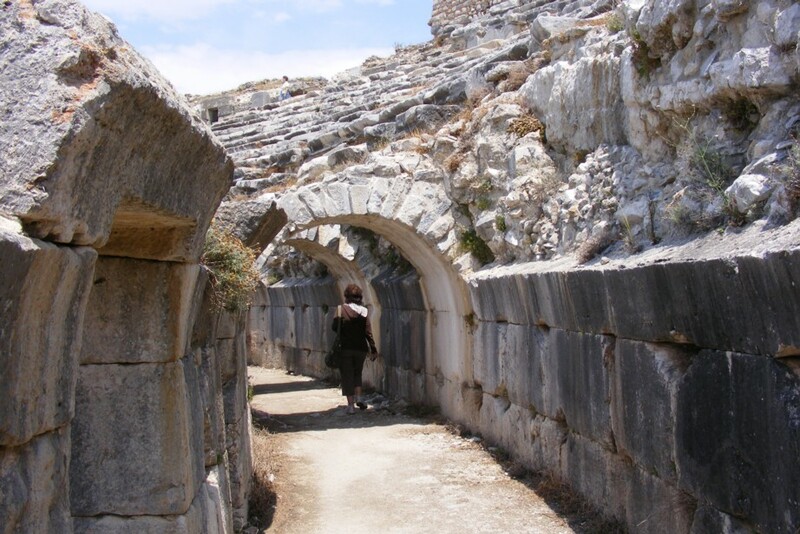 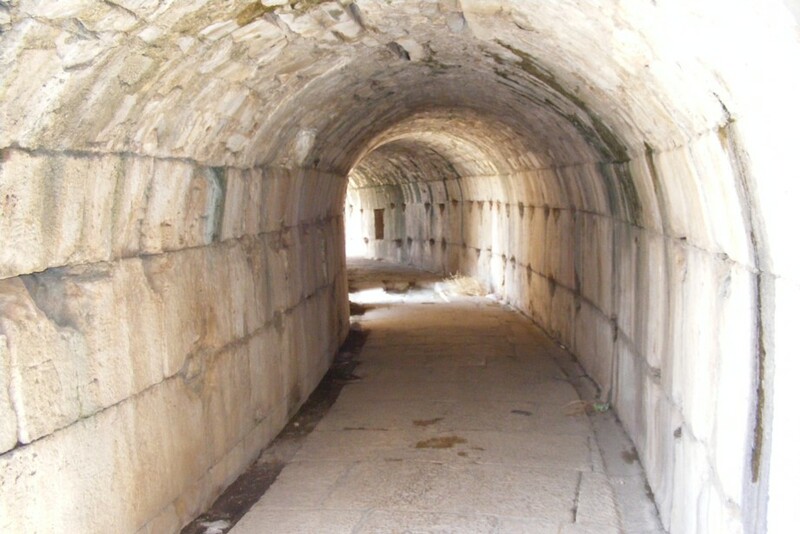 The settlement at Miletos was founded about 4000 years ago by the Minoans. 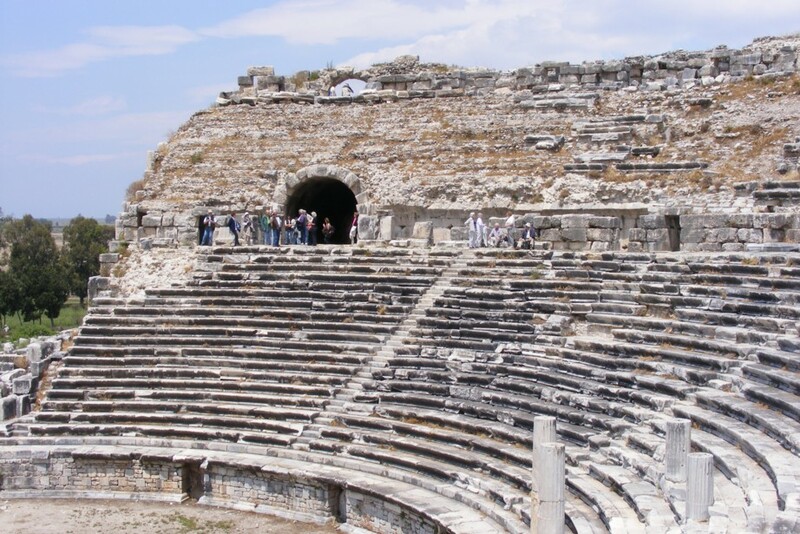 Later, the Ionians ruled Miletos and it became one of the most important ports in Ionia. 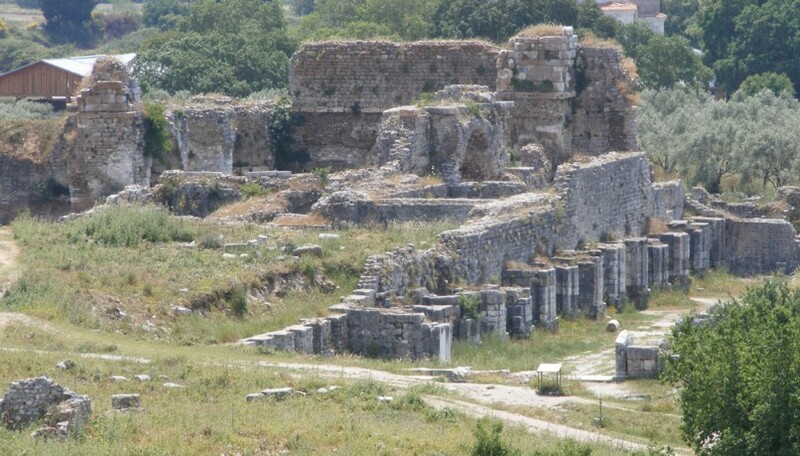 The city was totally destroyed by the Persians in 546 BC and was later rebuilt according to a geometric plan of Hippodamus after the end of Persian rule in 479 BC. 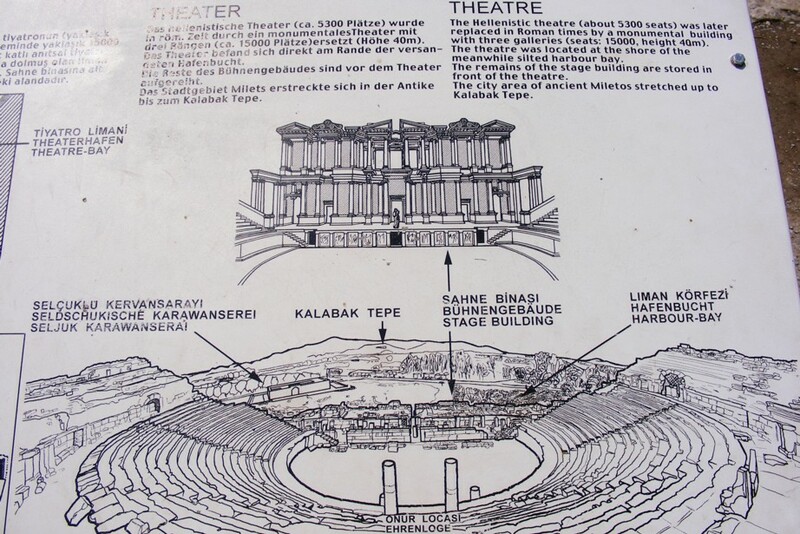 The most striking feature is the Theatre which we visited. 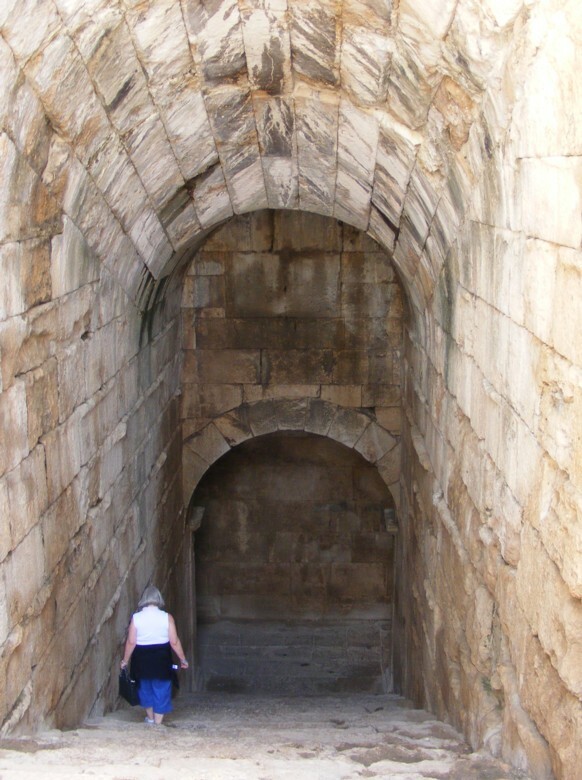 There are other extensive buildings but shortage of time precluded a more thorough inspection. 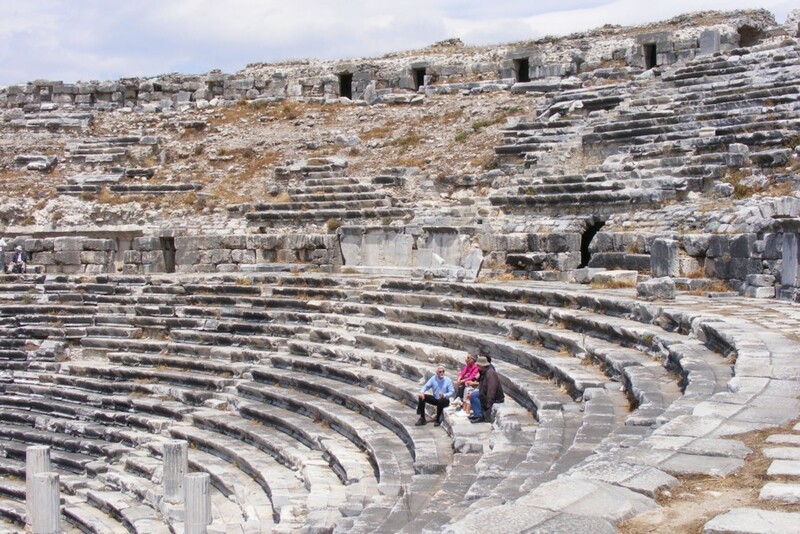 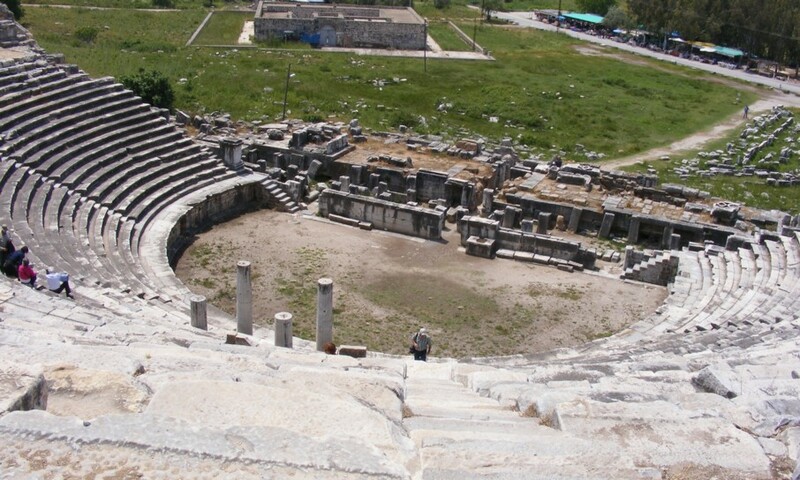 The Theatre is the largest in Turkey and is well preserved without reconstruction.